Roofing material is the outermost layer on the roof of a building, sometimes self-supporting, but generally supported by an underlying structure. A building’s roofing material provides shelter from the natural elements. 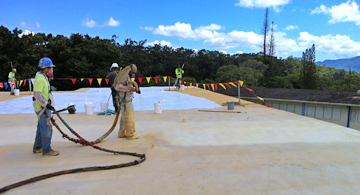 A roofing material installed on a roof with a pitch of 3:12 or greater.